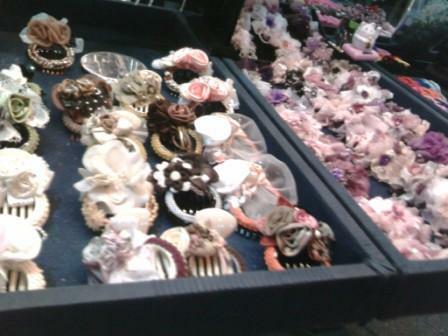 Above are beautiful bows and ribbons- looked handmade and sold for price that you cannot get from a typical rented kiosk in the mall. 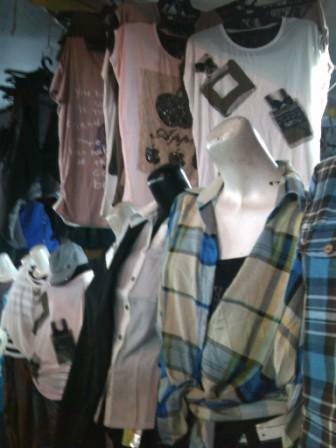 Clothes sold in the night market. These clothes generally are not that cheap and the quality may not be that good. 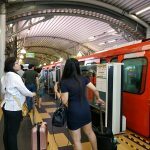 Usually for more enduring clothes, it’s better to get from shopping malls during sales. 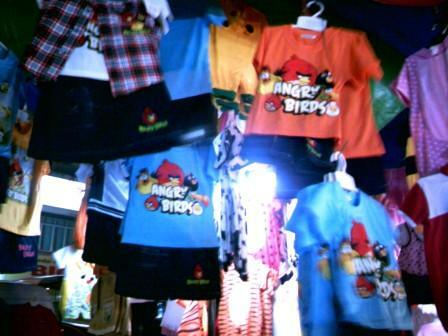 Angry birds are the “in thing” now- sorry, I am not into Angry Birds but if you want to look for the inexpensive Tshirts and stationery, a lot are being sold in the night market. 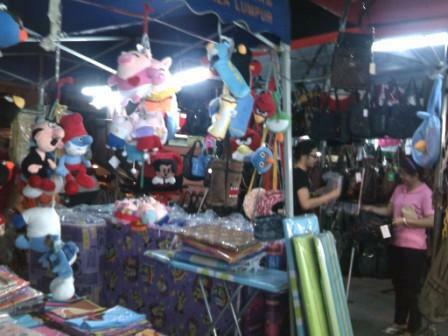 There are bags and soft toys- and pasar malam folks really keep up with the trends- Smurfs toys are also in now. 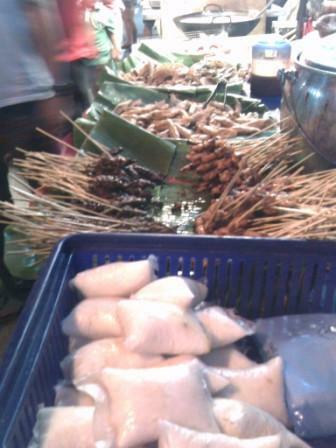 And if feeling hungry, there’s always various food stall all around with endless of varities of food to choose from. Above are satay. 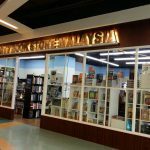 You can also find local kuih muih, snacks, dishes, popiah, all kinds of drinks. 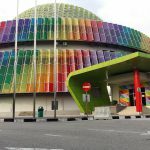 For a listing of pasar malam in the Klang Valley, you can refer to the link in this forum.